For over two decades, 4 Seasons Blinds has been providing clients with luxurious and affordable blinds and awnings. By manufacturing our own blinds at our workshop in Warwick, we have full control of the quality processes and production time scales, enabling us to offer our clients a truly bespoke service. We have worked hard to build our reputation and develop blinds that are innovative and unique in the industry. We believe 4 Seasons Blinds has grown as a result of the professional, friendly and courteous services every member of our team strives to deliver. 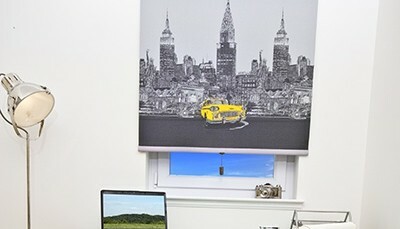 Our extensive range of blinds includes everything from wooden Venetian blinds to blackout roller blinds. Every blind we manufacture is customised to suit our clients, from using heating reflective or retentive fabrics to adding motors with remote controls. If you’re not sure which blinds are right for you, why not contact us to arrange a free, no obligation home survey?